When Metrorail closed on March 16th, tens of thousands of rail riders switched to bus, including almost 20,000 riders who took their first bus ride in over a month! 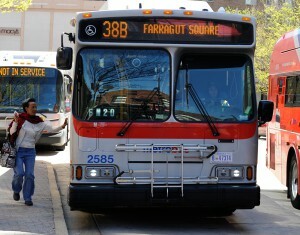 Bus-to-bus transfers spiked 45%, and ridership surged in downtown and central areas but fell in the suburbs. Special thanks to the Systems & Performance Analysis team in Bus Planning for their help developing this analysis. When Metrorail closed on Wednesday, March 16, Metrobus braced for impact as over 700,000 displaced rail trips sought alternatives. But there was little time or capacity to significantly alter bus service. What happened to bus ridership? Overall ridership as tallied by the farebox came in at just 5% over the monthly average, or about 20,000 additional trips. 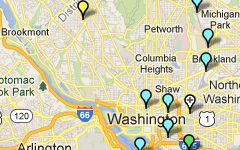 So the changes look fairly small given the volume of displaced rail trips. 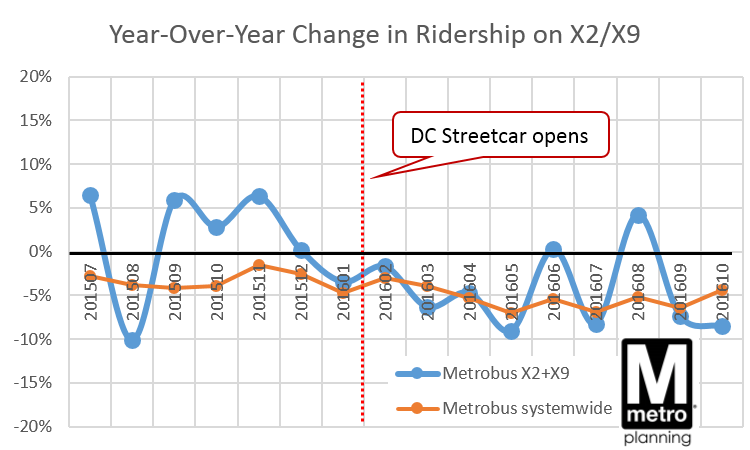 What happens to ridership when a major snowstorm closes Metro? The blizzard at the end of January dumped around two feet of snow on the Washington region over the course of a few days, making it the fourth-largest snowstorm in D.C. in over a century. To protect equipment, for the safety of employees and riders, and to focus on cleanup efforts, Metro ceased all operations for over three days. The Federal Government and schools were closed. 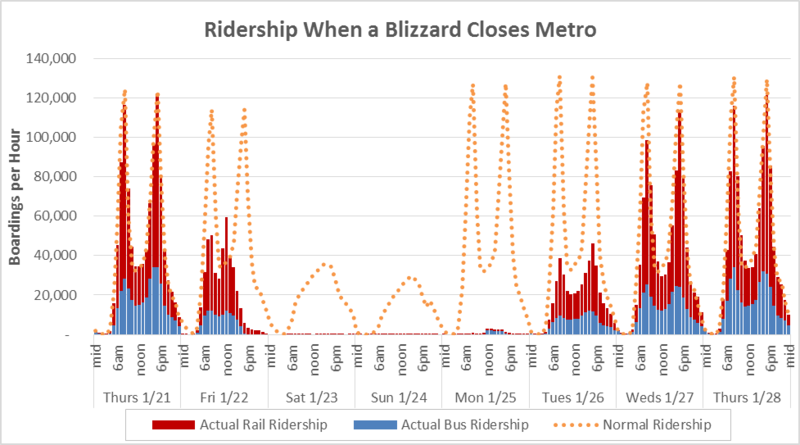 The chart below tells the story of the blizzard from a ridership perspective. Actual bus and rail ridership by hour is shown as blue and red, with the orange dotted line showing a typical pattern from two weeks prior in January. 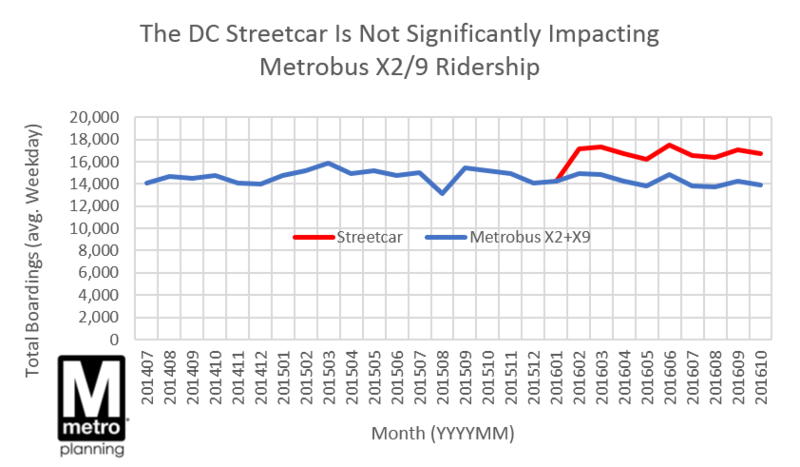 Even before the snowflakes began falling on the afternoon of Friday, January 22, Metro’s ridership was impacted. That day, riders adjusted their normal routines by staying home, teleworking, or leaving early. The morning’s peak was half of normal. By Friday night, bus and rail operations ceased. No service operated Saturday or Sunday. Very limited bus and rail service was offered for a few hours on Monday, January 25 as cleanup and recovery began. Fares were not charged on rail, so we recorded very few transactions. We recovered gradually on Tuesday and Wednesday, and nearly fully by Thursday, even as many school systems remained closed. In the end, total ridership losses were estimated to be about 2.9 million boardings over five days, 1.6 million on rail and 1.3 million on bus. Bus took a proportionately bigger hit than rail given service restrictions from icy and unsafe road conditions. What do you see in these numbers? Also, feel free to download the underlying data (.xlsx, 40kb) for yourself. Two years and 500,000 riders later, the K9 continues to demonstrates the benefits of MetroExtra limited-stop bus service. At the end of this month, the K9 bus route will pass an important milestone – it will carry its half-millionth rider. Since its inaugural run, the K9 has continually surpassed all of our expectations. The concept for the K9 emerged from a year long study on bus service needs in the New Hampshire corridor and on New Year’s Eve 2012, Metro launched the K9 service – the first limited-stop bus service introduced in Maryland in many years. The K9 provided faster and more reliable service along New Hampshire Avenue between Fort Totten Metrorail station and the Northwest Park apartments in Montgomery County. Riders responded enthusiastically, pushing the K9 over its 6-month target of 650 daily riders in less than four months. In March 2014, we extended the route north to the Federal Research Center in White Oak to coincide with the transfer of several thousand FDA employees to that facility and increased the service frequency to every 15 minutes. Ridership surged again, passing 1,000 daily riders for first time only a week later. 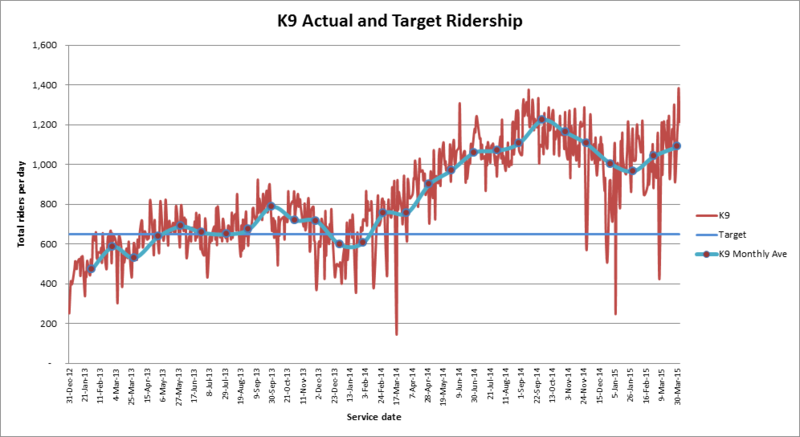 Two months later daily ridership was up another 20% to 1,200 daily riders.